i understand that there is some metadata related problem occur but i am not being able to fix it due to new in WCF area. 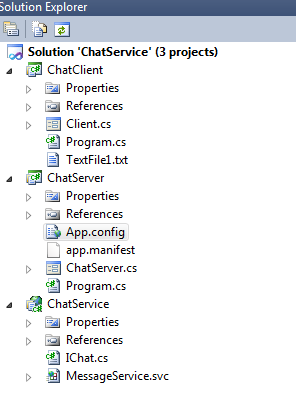 here is my app.config file details which is created where service has been hosted in win form apps. here i am attaching screen shot of all projects in my solution. A duplicated thread here, please feed back if the reply does not help.